Infosys has many firsts to its name: The first Indian firm to list on Nasdaq; the first to offer stock options to its employees. . . The company crossed $1 billion in revenues for the first time in 2004. 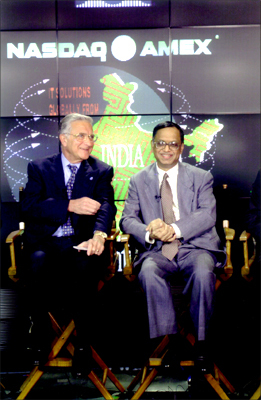 TCS, however, was the first Indian IT firm to top $1-bn in revenues. Infosys is an organisation that inspires awe and respect, globally. 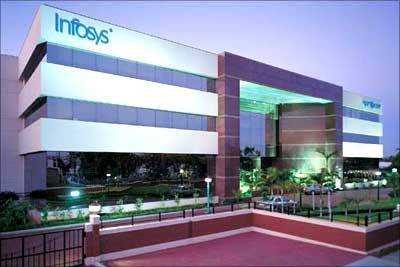 On July 2, Infosys completed 25 years in existence. This is its amazing success story, illustrated by rare photographs. 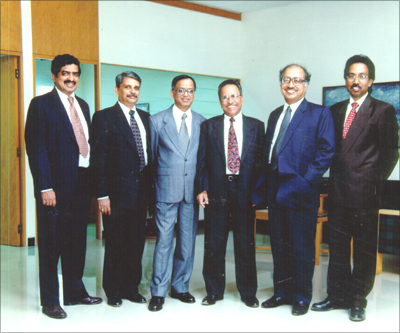 Photograph: Infosys founders (Left to right): Nandan Nilekani, S Gopalakrishnan, N R Narayana Murthy, K Dinesh, N S Raghavan and S D Shibulal. 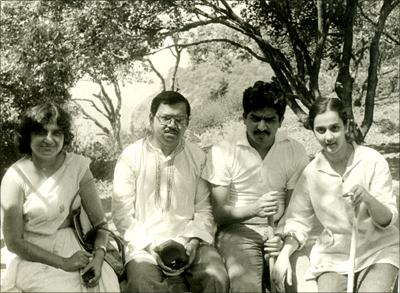 Photograph: (Left to right) Sudha Murthy, N R Narayana Murthy, Nandan Nilekani and Rohini Nilekani, a journalist at Bombay magazine before their wedding, at a picnic near Bangalore in the early 1980s. -- An excerpt from Sudha Murthy's reminiscences. She is the wife of Infosys founder N R Narayana Murthy. 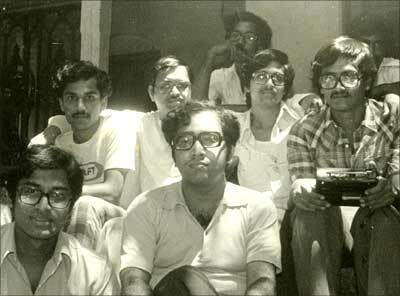 Photograph: Narayana Murthy (middle row, second from left), S D Shibulal (top row, left) and Nandan Nilekani (top row, extreme right, partly hidden) with friends at picnic near Bangalore, early 1980s. The other partners -- Nilekani, Gopalakrishnan, Shibulal, Dinesh and Raghavan -- decided to stay. 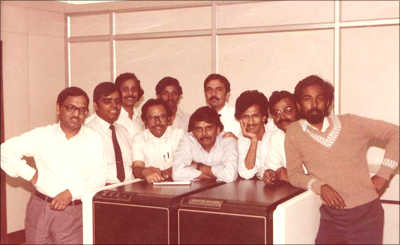 And thus began to germinate the seeds of Infosys' enormous growth. During 2005-2006, the Infosys internal cash accruals more adequately covered working capital requirements, capital expenditure and dividend payments leaving a surplus of Rs 1,612 crore (Rs billion). As on March 2006, the company had liquid assets including investments in liquid mutual funds of Rs 4,463 crore (Rs billion). This collectively makes the liquidity strength of Infosys at Rs 6,078 crore (Rs billion). These funds have been deposited with banks, highly rated financial institutions and in liquid mutual funds. Infosys last year derived an average yield of per cent (tax free) from these investments. The company received Rs 647 crore (Rs billion) on exercise of stock options by employees and cash equivalents including liquid mutual funds increased by Rs 1,612 crore during 2005-06. Photograph: The Infosys campus in Bangalore. Company Forcibly Giving Shares Instead Of Salary - Legal Action? What Is The Best Time To Start A SIP Systematic Investment Plan Investment?